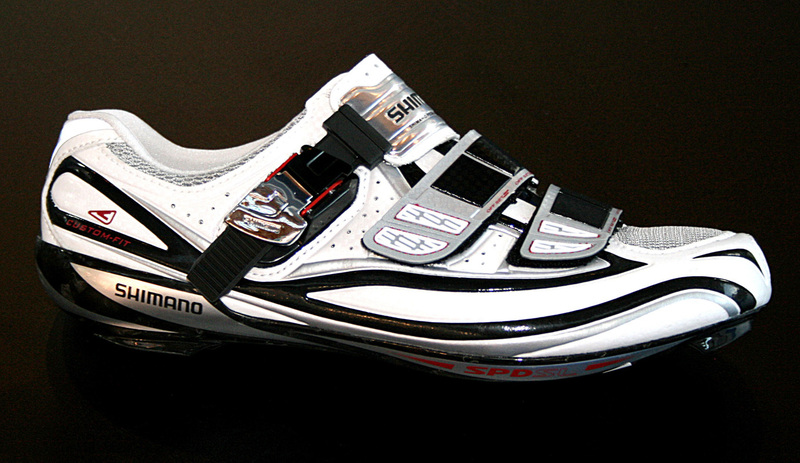 The new top of the range road shoe from Shimano, the SH R310, replaces the R300 as the flagship road shoe. It retains the moldable technology that was introduced last year. The integrated carbon sole and heel promises to make this a tough shoe to beat in the comfort stakes. According to the printed material on the Shimano stand, the shoe will also be available in a E-width model for those of us with wide feet. Shimano’s supplier in the UK is Madison. To view their website click here.